I love instant tents. Not only do they offer you brilliant set up times but usually the take down time is equally as fast. Having a fast set up time is simply convenient and stops you becoming frustrated and confused with detailed set ups. 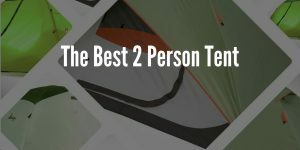 Of course to find the best instant tent we will have to consider many other elements and features of the tent to truly find the optimal purchase. Important things I will be considering alongside the instant set up are of course take down time, waterproofing, materials and build quality, value for money and finally durability and warranty. 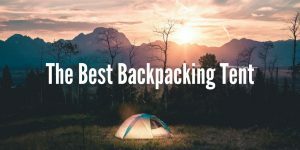 Now let get to my favorite instant camping tents! This Coleman tent is one of the most popular instant tents for a reason, well for many reasons actually. First of, as you may imagine the set up can be done in 1 minute, even if you are beginner I can’t imagine it taking longer than 3 minutes. I really enjoy this tents upright structure. It provides a lot of space and manoeuvrability which is something that’s extremely important to me. Other areas that this tent excels at are waterproofing thanks to being made from a polyester material and the seams that are taped. It’s great to see the seams are taped because this is often a weak point when it comes to waterproofing on some poorer quality tents. The ventilation on this tent is also great with windows on every side and vents in the roof this tent is sure to keep you feeling refreshed even in hot and humid weather. This tent has a seemingly endless amount of advantages that are sure to satisfy any camper and that’s the reason is one of the best tents in the world! This CORE tent is big enough to hold 9 people and it can hold 2 queen-sized inflatable beds. Basically its massive inside and you could hold your own baseball game inside it (slight exaggeration), but seriously if you are going for this tent you are going to be impressed by the spaciousness it provides. The set up on this tent is again amazing, it can be set up in 1 minute or less. I sometimes wonder how they can manage to manufacture a tent like this, it’s even more impressive in this case because of how large the tent is. 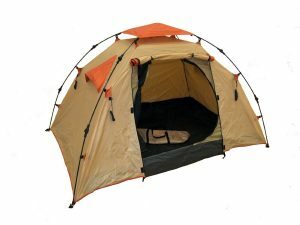 If you are looking for a quality tent that provides quality materials and is built to last this CORE tent is a great option for you. Everything feels well-made and is very durable. One final thing I would like to mention is the ventilation is very good on this tent. The roof is made of a mesh material and there are windows on every side of the tent. This makes for crazy good ventilation. If the rain fly is off, it provides even better ventilation along with the fact it feels so airy and almost like you aren’t even sitting inside a tent because of how much light is let inside the tent! This is one of the best cabin tents available right now. This is the CORE 4 person tent. 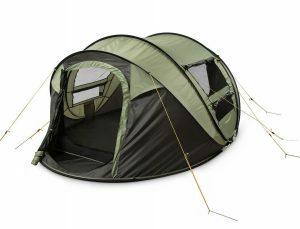 So if you are looking for a smaller tent that is suited for 2-3 people this is an ideal choice for you. The overall craftsmanship on this tent is amazing. One of the features I like most about this tent is that when the rainfly on the roof of this tent is removed its brilliant for watching the clouds roll by or for star gazing at night which for me are some of the best delights of camping. Of course this feature is brilliant for letting a lot of light in and providing very good ventilation. 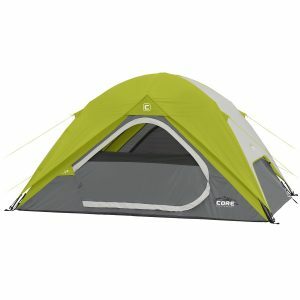 CORE says this tent can be set up in 30 seconds, while I can’t do it that quickly, it didn’t take more than a couple of minutes which is great. 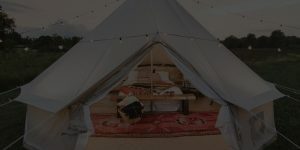 One final thing to mention is that everything is included including the rainfly, tent stakes and carry bag all of which meet a high standard of quality that often cannot be matched by the other manufacturers. This is the best choice for a backpacker or hiker who is always on the go and needs portability and quality. A lot of 4 person tents tend to be dome tents that often have the downside of being more awkward to move around in when upright if even possible at all. Due to its upright structure it allows for better manoeuvrability when compared to most other 4 person tents which is a big plus in my book. This tent is a great example of a 60 second tent. The set up on this tent is fast, very fast. As you take it out of the bag it will literally pop up. Meaning there is little to no set up time which really is brilliant. The take down time is equally as simple and I could do it alone in about 2-3 minutes. 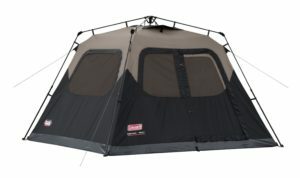 This tent is great for more casual camping but I would not recommend it for more serious campers that are going to experience heavy rain. It’s perfect for short day trips in warm and sunny weather. In terms of having the fastest and best setup on any of these instant tents the winner has to go to this Genji Sports Instant Camping Tent. 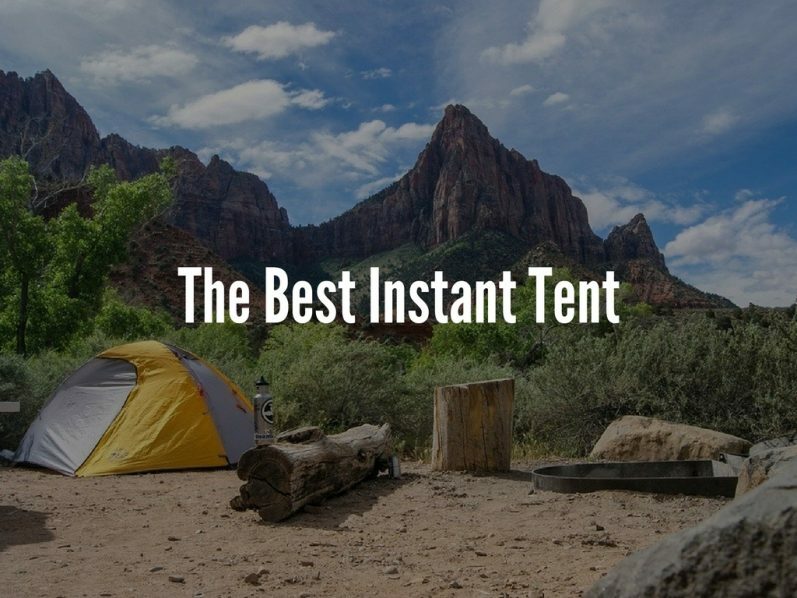 I was able to setup this tent in a matter of seconds, its really that simple and effortless. It can also be folded down very easily, it only took me about 2 minutes and I could imagine after doing it many times it should easily only take you 1-minute maximum. If you are looking for a tent that is extremely portable and can be easily carried around this is a suitable option for you. It’s surprising lightweight and it comes with a nifty carrying bag which is a nice little inclusion. The waterproofing on this tent is superb in my experience. I was in a heavy thunderstorm for about 2 hours in this tent and there wasn’t a single drop of water or moisture on the inside, very good job Genji!